It was typical era of militant unions and the only scenario was bad Industrial relations. The whole industrial belt was spoiled by the union. Due to the conflict with management, union declared the stoppage of the work. They started to create the problem to staff members and made the internal atmosphere hostile. In response to the same, management declared the lock out. I had just started my career as the Management Trainee. I was reporting to Personnel Manager. One day union “gheraoed” Works Manager and Personnel Manager. From next day Personnel Manager did not come to the office. Within a week, he resigned. Works Manager called me and other 5 colleagues from my team and asked us to come at office without fear. He told us that we would resolve the issue asap. He personally took the charge of function. We continued to work with him. Life is a struggle. It is like climbing mountain. Life is with full of adversity. When you overcome the adversity you are successful. Fulfillment is achieved by a relentless dedication to ascent, a persistent progress forward and upward, towards one's lifelong mission, despite all 'Adversity'. The success in our work and life is largely determined by how we respond to Adversity, and the measure is called Adversity Quotient (AQ). There are three categories of people who have different responses to Adversity and as a result enjoy varying levels of success and joy in their lives. Personnel Manager opted out from the scene. He was seasoned professional, but still was not sure about the situation. The adverse situation made him to opt out. He was a quitter. Quiteers choose to opt out, cop out and drop out – refusing the opportunities the mountain presents. They abandon the climb and lead compromised lives. The irony of course, is that as life moves on, the Quitters suffer far greater pain than they would have, had they attempted the climb. They are fluent with the language of limitations, quick to find ways things cannot work. They use words like, can't, won't, impossible, and phrases like 'We've always done it this way', 'Who cares', 'It's not worth it', 'there we go again' etc. At work, they demonstrate little ambition, minimal drive and sub-par quality. They take few risks and are rarely creative. Minimally engaged in their work, Quitters are dead weight for any organization. asked both parties to resolve the issues mutually. Finally after two months long negotiations issue was resolved, however our Vice President came into the picture and pushed the Works Manager to do this. Work manager actually was a camper. Campers go only so far, and then say, 'This is as far I can go'. Weary of the climb, they terminate their ascent and find a smooth, comfortable plateau on which to hide from adversity. It is a common misperception of these people to view success as a specific destination, as opposed to a journey. Campers unlike Quitters show 'some' initiative 'some drive', and put forth 'some' effort. They do what is required. It is the baseline of satisfactory performance that keeps the camper employed. Over time, campers lose the ability to climb, and feel increasingly threatened by those ascending. They are people motivated by comfort and fear. This is a third category. Climbers are the people dedicated to lifelong Ascent. Regardless of background, advantages or fortune, they continue the Ascent and embrace challenges. They are self-motivated, highly driven, and strive to get the most out of life. Climbers tend to make things happen. Their language is filled with possibilities. They speak about what can be done and how to do it. The question isn't “if”, but “how”. 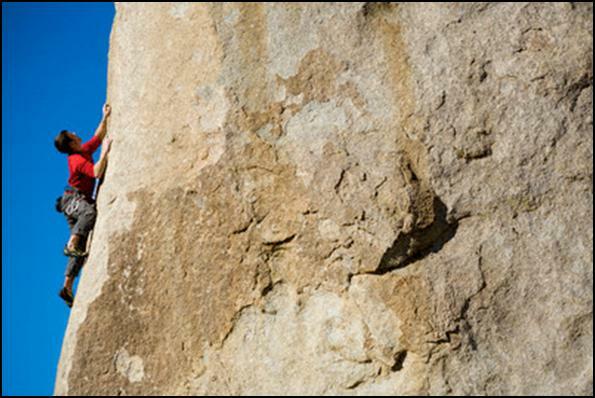 Climbers drive towards results and their language reflects direction. AQ applies to teams and organizations in the same way it does to individuals. AQ defines an organization's ability to withstand and climb through adversity. It largely influences agility, resilience and persistence when navigating and creating change. Fueled by the explicit and implicit belief that there must be a better way, high AQ organizations find creative methods to do more with less when up against the wall. AQ can determine an organization's competitive advantage and its ability to persevere through continuous change. A winning team can have no losers. For organizations to have a high Adversity Quotient, it is crucial that the quality be reflected in the personality of its every employee. An organization’s ability to persevere and win thus begins with the individual. AQ is what separates Climbers from Campers and Quitters. When the going gets tough, Quitters give up and Campers entrench, while Climbers dig in and ascend. It is plesure to read your articles. All the articles are different and give the diffrerent persepctive of life. Your advise is practical and implementable in life. Please publish a book.